Experience what life is like under the sea during Chippewa Falls’ 42nd annual Pure Water Days! This year’s theme, “Under the Sea,” will be exemplified during the parade with more than 70 floats. The parade route begins at the corner of Cedar and North Bridge streets and ends at the corner of Bridge and Spring streets. Following the parade is a vintage car show, which ultimately leads the crowd to Allen Park for RiverFest. The annual festival in the park features a variety of activities for the whole family, including live music by local band Irie Sol, a beer tent, inflatables, kids games (and prizes! ), vendors, and more. The evening will conclude with fireworks. 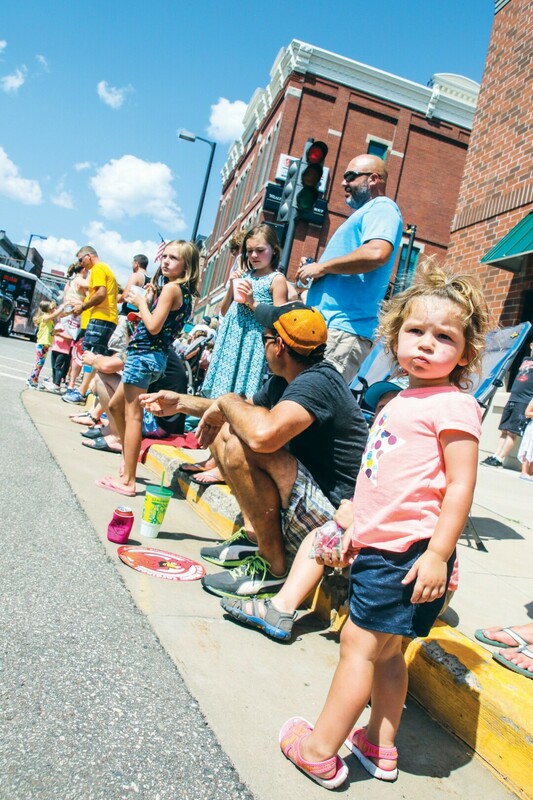 The parade and RiverFest are part of a larger celebration, Pure Water Days, which is held Aug. 9-12. Chippewa Falls’ big attractions, such as the Leinenkugel’s Leinie Lodge and Irvine Park, host events throughout the weekend. A variety of events are scheduled throughout the city, including a skateboard contest, a song and storytelling performance at the Heyde Center for the Arts, and the Chippewa Falls city-wide class reunion. The parade and RiverFest are free to attend, but admission will be charged for some of the other weekend events.